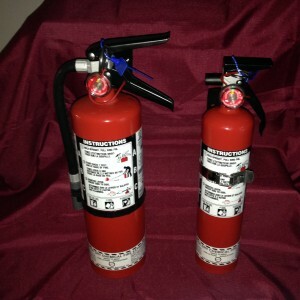 At Match-it Supplies Ltd., we have a wide variety of fire protection and fire-fighting products. Every home should have a fire extinguisher and fire plan on hand. Stop by today to get yours. Create a picture in your mind that will reflect the instructions on the extinguisher: if there’s a fire, get everyone outside and ask a member of your family to call the fire department from a neighbour’s house. Only then should you permit yourself to fight a small fire. If the fire becomes large, get out. Close doors behind you to slow the spread of the fire.